It’s bad enough when your laptop crashes, leaving you frustrated and inconvenienced until it’s repaired, but when your Corporation’s whole network fails you’re in big trouble. Apart from wasted time and the cost of diagnosing and repairing the network, your firm’s reputation can suffer. But don’t despair; who else are you going to call but Catalyst Computers? Our team of qualified repairers will be there in a flash and will have you up and running again in no time. 2 How Could Your Business Benefit From an IT Server? 3 Server Deployment – What Does It Mean to Deploy a Server? 5 When Is The Right Time for Server Replacement? 8 What is a server maintenance plan and why is it important? In the event of a crash, when your network experiences downtime, what you need is a reliable mate who is there for you in a crisis and who responds immediately to repair the damage, and to do it fast. You need someone onsite to check the repairs, educate all your users on any new applications and upgrades, and get your organisation back online with few hassles. At Catalyst Computers, we offer various repair and maintenance contracts and on-demand services with predictable fees and charges that suit your budget and your needs. Give us a call to discuss what your business requires and the services that fit your particular operation. New technologies are always in a state of evolution and this means a support utility offering reliable, time-critical installation services is crucial to your business success. At Catalyst Computers, our team of highly qualified engineers will support you, which means you can rest assured that your customers’ installation specifications are in our safe hands. A full and comprehensive network installation service is carried out by our specialist, highly trained support engineers who are proficient at diagnosing and fixing any hardware, software and server problems your customers might encounter. Catalyst Computers has engineers in Sydney with the appropriate support infrastructure for all kinds of system installations. If your customers need maintenance cover on already-installed equipment, our top Catalyst Computers technical crew will determine which spares are needed. They will provide the facility necessary to motivate and enhance your customer’s IT departments and with our large spares inventory, we can achieve the needed overhaul times across all of our support service contracts. When the server has been built and all the software is installed and configured, our team will determine how best to install it. To ensure downtime is kept to a minimum, servers are usually installed when your business is quiet. Once the hardware is onsite and installed by Catalyst Computers engineers, the further configuration can begin and user profiles can be tested, data migrated to the server and any added tasks will be completed. How Could Your Business Benefit From an IT Server? Server Deployment – What Does It Mean to Deploy a Server? It’s been used for millennia as a military term meaning ‘strategy’. A dictionary definition of ‘deploy’ is ‘to spread out or to arrange something in a strategic manner’. The word has been coined lately by those involved in IT and used to mean the deployment of information technology. Used in IT, ‘deployment’ incorporates all the procedures adopted in setting up new software or hardware and making it run properly. It includes installing, running, configuration, testing, and making any changes that are needed. In IT the term ‘implementation’ is often used to mean the same as deployment. At Catalyst Computers our teams are expert at deployment and implementation! The deployment server allows you to bundle Catalyst Computers components by standard attributes and then disperse content based on these groups or bundles. For example, if you’ve got Catalyst Computers instances (these are specific occurrences of any object existing usually during a computer program’s runtime) serving various different needs in your company, their configurations are likely to vary depending on what they’re used for and who uses them. You might have a bundle of instances that serve your helpdesk crew, with a special app configured to fast track Windows desktop troubleshooting. There could be another bundle of instances used by the operations section; these might have different apps that are used to trace security incidents, issues with the network, and manage emails. Another bundle of instances could be used to serve the operations team’s Web hosting section. Instead of attempting to maintain and regulate these diverse Catalyst Computers instances one by one, you can bundle them based on their use, pinpoint the configurations and apps that are needed by each bundle, and then implement the deployment server to update their configurations and apps when necessary. As well as bundling Catalyst Computers instances by use, there are other handy kinds of categories you can define. For example, you could bundle instances by version, hardware type, OS, time zone or geographical region. Managing configurations for groups of forwarders is important. For example, if you have forwarders on different machine types, you can implement the deployment server to deploy various content to the different machine types. The Windows forwarders can receive one group of configuration updates and the Linux forwarders can receive another group, etc. When Is The Right Time for Server Replacement? The most obvious is if you notice your computer/server has slowed down or freezes, or if it actually crashes. If you suddenly can’t do something you could do before. If you notice an increase in pop-up windows. If you have created work-arounds for things that are not functioning properly. If you don’t know the status of your backup system. If you don’t have up-to-date Microsoft security updates. If you don’t have updated virus definitions. If you don’t know, or if you’re not sure you have a firewall. If your printer works inconsistently. If your email sending or receiving is inconsistent. Companies are now waiting for longer periods before upgrading or replacing servers and data centre equipment because of tighter IT budgets, more conscious spending, and/or more reliable hardware. In the past, the server replacement cycle was every two to three years, but now companies are often waiting up to six years before needing replacements or upgrades. There are no hard and fast rules when it comes to replacing servers. These decisions are usually made with regard to the performance of a server and not usually on depreciation or when the support and warranty periods on the hardware are finished. This is why it’s important to always monitor and make precise reports of critical server metrics like bandwidth consumption, CPU utilisation, reliability, and up-time. It’s important that as well as your present server performance, it is important when building a data centre to calculate the future needs of the operation. You need to do this to make more astute short-term upgrades and helps to anticipate a long-haul server replacement plan. Also important is considering all facets of the IT infrastructure because all the components depend highly on each other. Elements include databases, storage requirements, projected processing, application deployments, and operating systems of the future. By doing this, you can reduce the risks of running old software on over-powered hardware and new software on hardware that is underpowered. With the continuing enthusiasm around efficiency and green IT, it’s not unusual for companies to reuse older servers for less demanding processes when they replace them for the more demanding uses. For example, old servers can be used as backups because the lower performance might be okay for use now and then. Although this can be a cost-cutting exercise, you’d still be advised to figure out whether it’s more practical to repurpose or replace your server. Whichever one you choose, the needs of the business should be your priority when making a decision. The best way to decide on cycles of server replacement is basing decisions on forecasts of business needs and network performance data. Since Catalyst Computers specialises in IT installations, from servers, to complete networking solutions, desktop computers, laptops, telecommunication and audiovisual services, we can provide all the IT solutions you will ever need. Our IT support team at Catalyst Computers works closely with our clients to make certain we meet all of their requirements and to ensure that the service and repairs we provide work exceptionally well and achieve ultimate benefits. Every company we work with receives its own tailor-made solution which means we don’t believe in a one-size-fits-all philosophy. We also provide our clients with professional service and advice, supporting them at every step, from first designs right through to managing the installation and the ongoing support necessary. What is a server maintenance plan and why is it important? Server maintenance is the process of keeping your servers up to date and functioning accordingly to your expectations. Servers handle your business’s crucial aspects of data, so devising and executing a server maintenance plan will ensure your servers can continue to run your business as usual without any issues. If you regularly maintain your business servers, this means they’ll last longer, and you won’t need to dig into your budget to purchase replacement servers. Servers are essential components for your business to run smoothly and as expected. Since servers are responsible for retrieving all sorts of basic and necessary information from networks to your local computers, it’s crucial to regularly maintain and ensure your business servers are working accordingly. Once your server goes down, your business will instantly suffer. This is where a sever maintenance plan comes into play to ensure your business doesn’t come to a halt because of a faulty server. Because without a proper server maintenance plan, you’ll be hit with so many headaches trying to get your business up and running again. In the event of a server shut down or broken server, it’s more difficult to recover valuable data that gets lost in the process, there’s significantly more downtime to deal with while productivity levels plummet, and ultimately, you’ll have to replace your servers sooner due to poor maintenance. At Catalyst Computers, we’re specialists in creating and implementing the best server maintenance plans for your business that extend your server lifespan and ensure all business IT operations run accordingly. 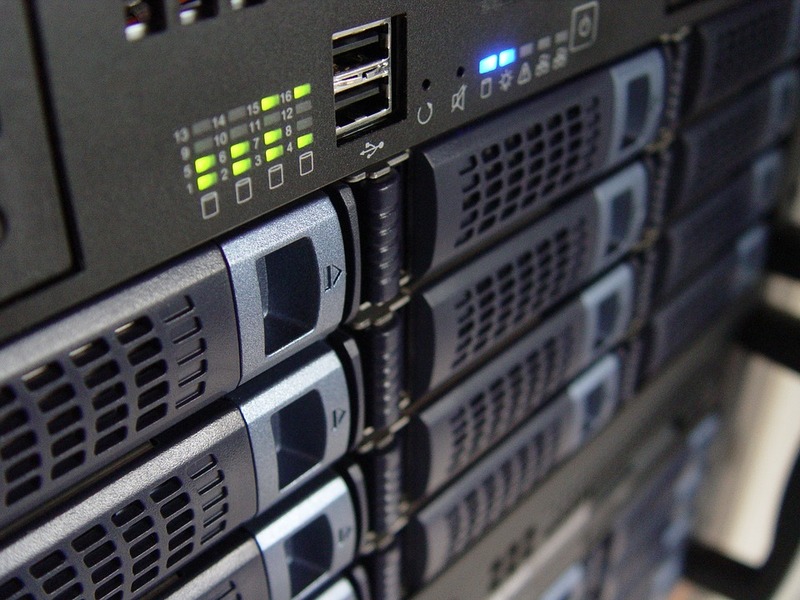 Whatever the size of your business or server type, we’re able to offer you solutions to effectively and properly manage your servers to guarantee smooth and uninterrupted business operations!